MALR-GOVS conducts individual plant audits to determine the eligibility of beef plants to export to Egypt. All approved slaughter facilities (the approved facilities) are subject to re-auditing every three years to renew eligibility to export to Egypt. Islamic Centers in the United States and other trading partners are responsible for issuing the Islamic halal certificate which is required by GOVS. The Islamic Centers must have a representative present at the slaughter facilities to confirm halal slaughter. Beef plant audits in the United States are implemented by veterinarians from GOVS in cooperation with the US Meat Export Federation (USMEF). 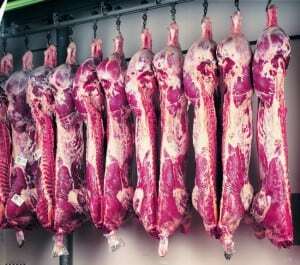 To date, around 57 beef slaughter facilities have been audited and approved by Egypt. In May 2014, Egypt has temporarily banned beef originating from the Brazilian state of Mato Grosso for 180 days. The ban came after the OIE (World Organization for Animal Health) confirmed BSE case in the state. According to media reporting, the Brazilian Ministry of Agriculture said that Brazilian beef exports to Egypt for the first four months of 2014 totaled 48,450 TMT with shipments from Mato Grosso state representing 25 percent of total exports or 12,074 TMT. Since 2001, Egypt has been a major market for Brazilian fresh beef, and imports have averaged 110,000 MT annually for the last five years. In early 2013, Egypt temporarily banned imports of beef and beef products from the Brazilian state of Parana after positive detection of an atypical case of BSE.